Food Tin Sign: Welcome to Joe's All American Diner! 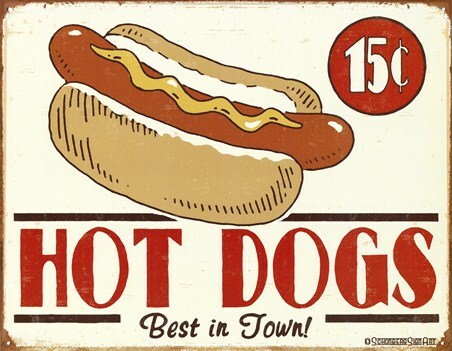 We hear that they do the best hot dogs in town. You can almost picture the black and white tiles inside the restaurant and imagine the immense milkshakes as they bring them over to your table...If your mind is going wild thinking of all the tasty treats that could be on the menu, then this retro tin sign is an awesome addition to your home. 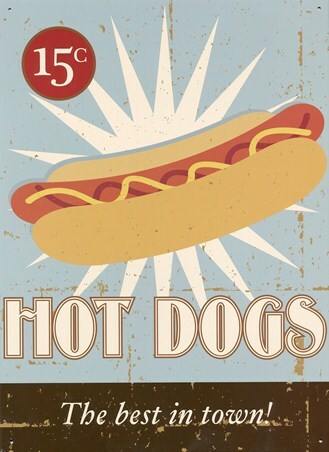 Recreate some of your favourite meals by turning your own place into an all-American diner with the aid of this sign. 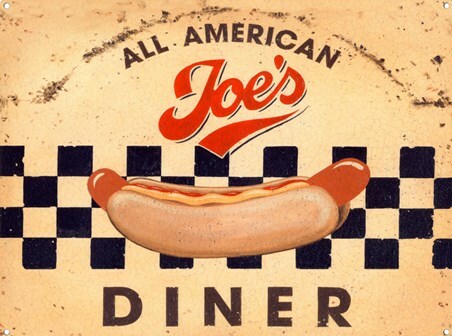 High quality, framed Joe's All American Diner, Hot Dog tin sign with a bespoke frame by our custom framing service.